Mr Chana was chosen by the Sunday Times as one of the UK’s best rhinoplasty surgeons to feature in an article about a man’s cosmetic pursuit of perfection. Being Asian himself and having spent time training in the Far East many years ago, Mr Chana has operated on large numbers of Asian patients in London and has developed a huge experience over the years in fine tuning the results of his Asian rhinoplasty technique. 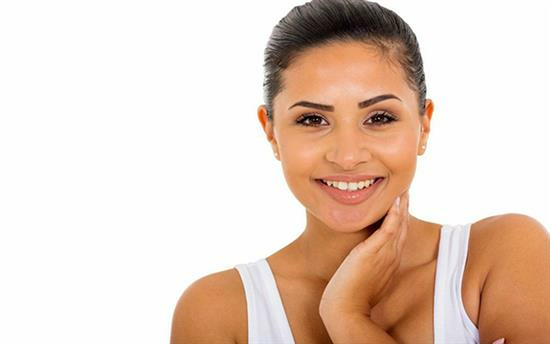 It is not uncommon for people to seek cosmetic surgery to soften ethnically-defined features. As such, one of the most common procedures in Asian individuals, in particular, is rhinoplasty surgery. Rhinoplasty for the Asian nose requires a specific expertise due to certain special considerations which need to be taken into account. These include the different anatomy of the Asian nose and the importance of maintaining facial proportions in order to keep the new nose in harmony with the rest of the face. A dorsal hump is a lump or raised section of the bridge of the nose and is particularly common in Asian noses. Dorsal hump correction can be performed as an open or closed procedure but the exact type of approach will depend on other factors. In general, the majority of Asian patients will require an open approach to rhinoplasty due to the fact that additional work is usually required to support the tip of the nose. A dorsal hump correction procedure involves removing the excess bone and cartilage that creates the appearance of the hump. Part of the process to perform this part of the procedure also involves resetting the nasal bones which are called an in-fracture. This will subtly narrow the mid-portion of the nose at the same time, giving a more streamlined appearance. Asian noses tend to have a different structure to Caucasian noses. One of the defining features of Asian noses is that the tissues supporting the tip are weak. This means that the nasal tip is often droopy or low and can sometimes be blunted in appearance. In order to refine these features the nasal tip needs to be lifted and extra support provided with a small graft. This graft is taken from the septum, which is the cartilaginous division between the left and right nasal air passages and is called a columellar strut. At the same time, the tip can be narrowed and refined. In order to carry out this procedure satisfactorily, an open rhinoplasty is required. This means that a small incision is made on the outside of the nose (on the columella – the skin bridge that separates the two nostrils) before the skin on the tip of the nose is lifted to expose the cartilage and bone underneath. Open rhinoplasties may require a marginally longer recovery time than closed procedures, but the benefit that this surgery achieves far outweighs the slightly longer recovery time. When you have your pre-surgical consultation, it is important to think about the main features of your nose which you dislike. Mr Chana will then explain how these changes can be made while at the same time maintaining normal facial proportions. In this way, he will explain the likely result that can be achieved. Mr. Chana places precedence on natural-looking results that complement the rest of the patient’s features, and this will be the most important factor whilst discussing what you would like your nose to look like after your surgery in London. You will also learn more technical and useful information about the surgery, recovery process, and any potential complications there may be. All of this information will allow you to make a fully informed decision about whether to proceed to surgery. For more information, or to book a consultation, please call or email Mr. Chana.